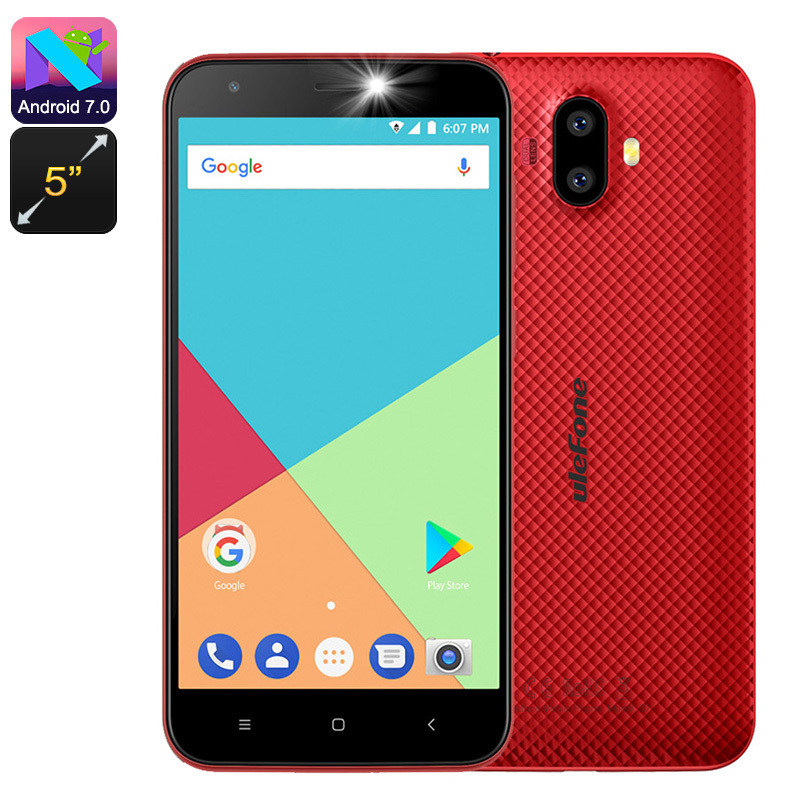 Successfully Added Ulefone S7 Android Smartphone - Android 7.0, 5-Inch Display, Quad-Core CPU, 3G, Dual-IMEI (Red) to your Shopping Cart. With the Ulefone S7 Android phone at your side, you’ll never have to worry about connectivity again. This cheap Android phone comes with two SIM card slots and supports Dual-IMEI numbers. Thanks to this, you’ll be able to slide in two SIM cards and stay connected to both at the same time. This makes it possible for you to be reachable on two different phone numbers while using only one Android phone. If you’re a busy business person or an adventurer that often travels abroad, this Android phone is perfect for you. From now on, you’ll always be able to stay within reach to friends and family no matter where you’re headed. The phone itself features a sleek body and runs on an Android 7.0 operating system. This allows you to take advantage of the latest Android features available. With a Quad-Core processor and 1GB RAM at your disposal, the phone lets you enjoy basic games, movies, and Apps without dropping a frame. You’ll furthermore be able to browse the web at any given moment thanks to the phone’s 3G support. This allows you to read the news, use social media, or stream and download media. With 8GB memory and a 128GB SD card slot, there will be plenty of storage available to save all your latest acquired files and media. The Ulefone S7 Android phone features a beautiful 5-Inch display. On this screen, you can enjoy all your favorite films, series, and games in crisp HD resolutions. Simply head out to the Play Store where you’ll be able to choose from over a million of free Apps to download. With this Android phone in your pocket, there will never be the need to feel bored again. By packing a powerful 2500mAh battery, this Android phone delivers enough juice to get you through the most demanding of days.